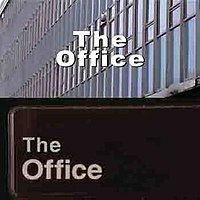 This article is about the various versions of the mockumentary The Office, comparing The Office (UK TV series), The Office (U.S. TV series), Le Bureau, Stromberg (TV series), La Job, es:La ofis, HaMisrad, and sv:Kontoret versions. For other uses, see Office (disambiguation). Title card for the UK original (above) and US version (below). The Office is a mockumentary sitcom that was first made in the United Kingdom and has now been remade in many other countries. The total overall viewership is in the hundreds of millions worldwide. The original United Kingdom TV series was created by Ricky Gervais and Stephen Merchant. It starred Gervais as the boss and main character of the show. The first broadcast was on BBC Two on 9 July 2001. The show ran for 14 episodes – two series of six episodes and a two-part Christmas special. The longest-running version is United States adaptation, which ran for 9 seasons from 2005 to 2013. Germany's Stromberg has seen 46 episodes over five seasons and a movie aired 2014 in German cinemas. Note that the set-up of the German version is more distinct from the original than it is with most of the other versions. The characters given are rough counterparts in terms of their role in the series. They generally have different job descriptions and, in a few cases, may not even work for the company at all. ^ The 2001 British Academy Television Awards, winners and nominees. ^ The 2002 British Academy Television Awards, winners and nominees. ^ The 2003 British Academy Television Awards, winners and nominees.